This is cute and even cuter with a Guinea Pig head under it. 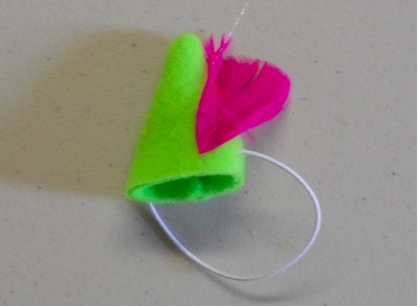 It is a Cavy sized Lime Green with Bright Pink Feathered hat. It stays on your pet's head with elastic. The elastic is left long when it arrives to you so that you can cut it or tuck it to fit your own Guinea Pig. 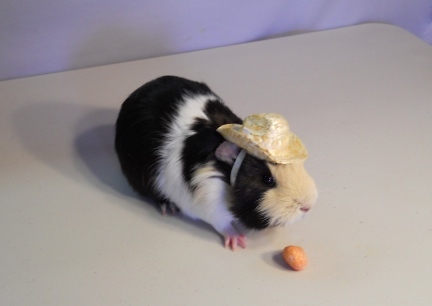 If you have a dark colored Guinea Pig, use a permanent marker to color the elastic. Just let it dry well before putting the hat on your pet.